Corynebacterium Diphtheriae is a rod-shaped bacteria belonging to the order of Actinomycetales, which are typically found in soil, but also have pathogenic members such as Streptomyces and mycobacteria. 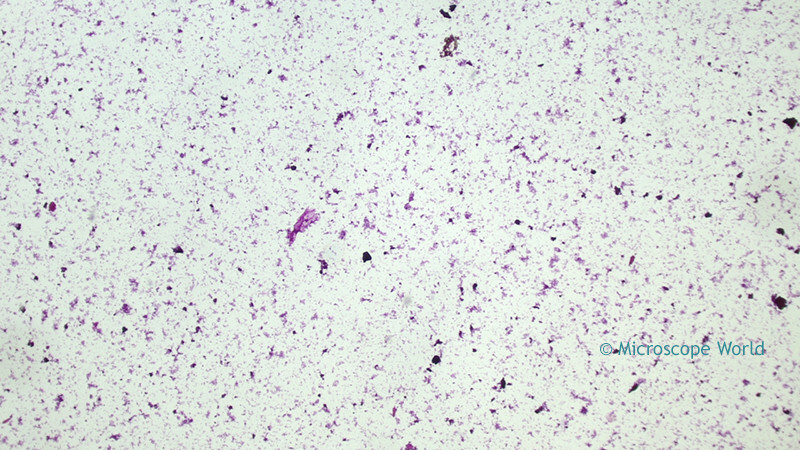 It is a gram-positive, aerobic, non-motile and toxic producing bacteria. 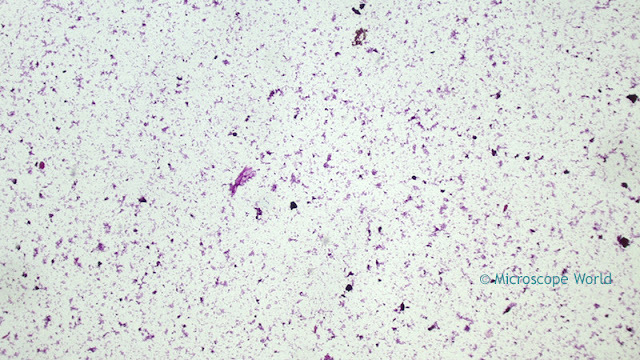 Corynebacterium Diphtheriae is best known for causing the disease Diphtheria in human beings, which results from the production of the Diphtheria toxin in conjunction with an infection by a bacteriophage, which provides it with a toxin-producing gene. Diphtheria has been studied heavily, because historically it was a very deadly disease, especially for children where mortality rates were eighty percent before vaccines and antitoxin were developed. Since rats and mice are naturally immune to the Diphtheria toxin, it has been difficult to study in a lab. Diseases resembling Diphtheria were described as early as the 4th century BCE by Hippocrates. It was named in 1826 by French physician Pierre Bretonneau, who gave it the Greek name for leather hide. This was a very appropriate name since the disease creates a leathery layer that grows on tonsils, throat and nasal passages. By 1892 the first antiserum was developed by Emil Von Behring and ready for commercial production. He was later awarded the Nobel Prize in medicine in 1891. In 1923 Alexander Glenny, Barbara Hopkins and Gaston Ramon produced a vaccine for Diphtheria. They found that formaldehyde could prevent the Diphtheria toxin from being toxic, and the non-toxic form still retained its antigenic qualities. This vaccine led to a large decline in the number of cases of Diphtheria. In 2014 there was only one recorded case of Diphtheria in the United States. The images below of Corynebacterium Diphtheriae were captured using a lab research microscope and a CCD microscopy camera. 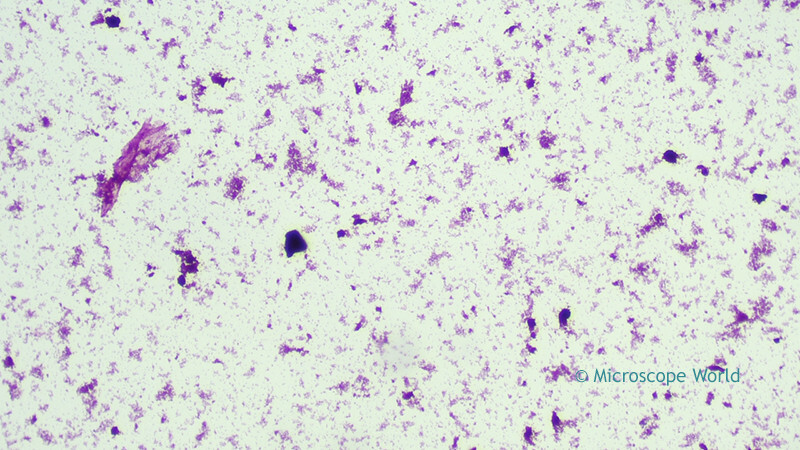 Corynebacterium Diphtheriae under the microscope at 40x. 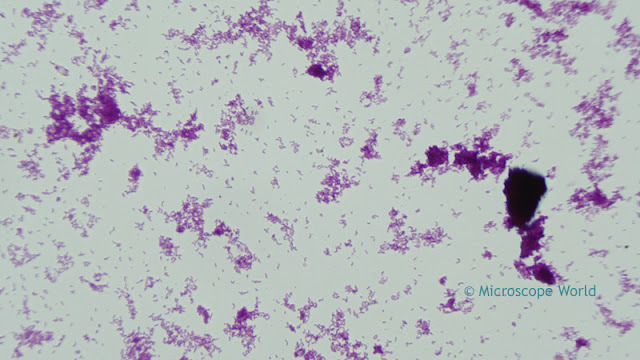 Corynebacterium Diphtheriae under the microscope at 100x. 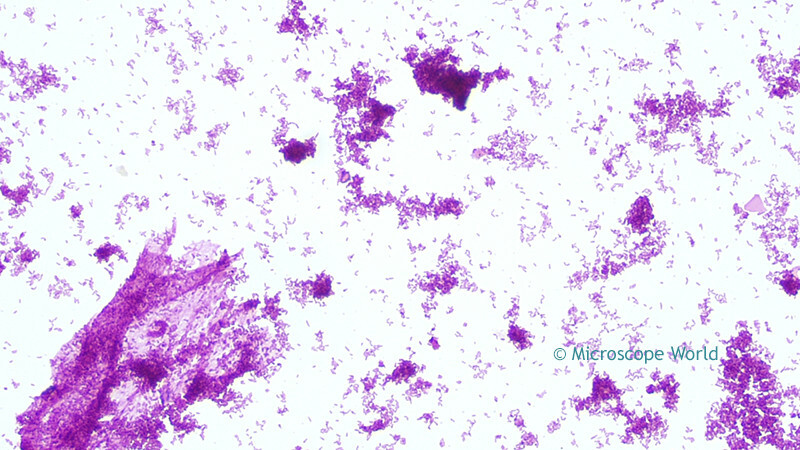 Corynebacterium Diphtheriae under the microscope at 400x. Corynebacterium Diphtheriae under the microscope at 400x captured with a Plan Fluor Objective.